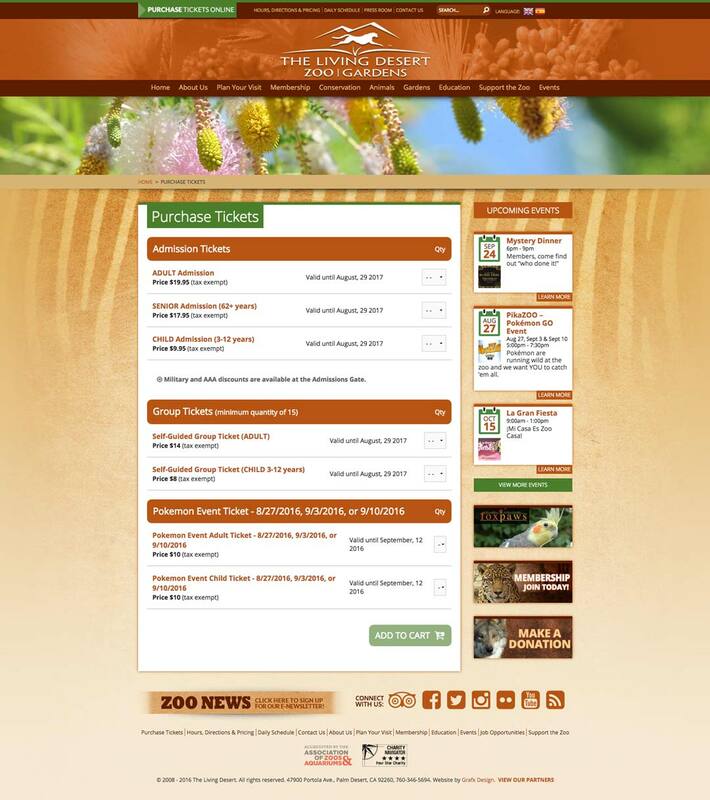 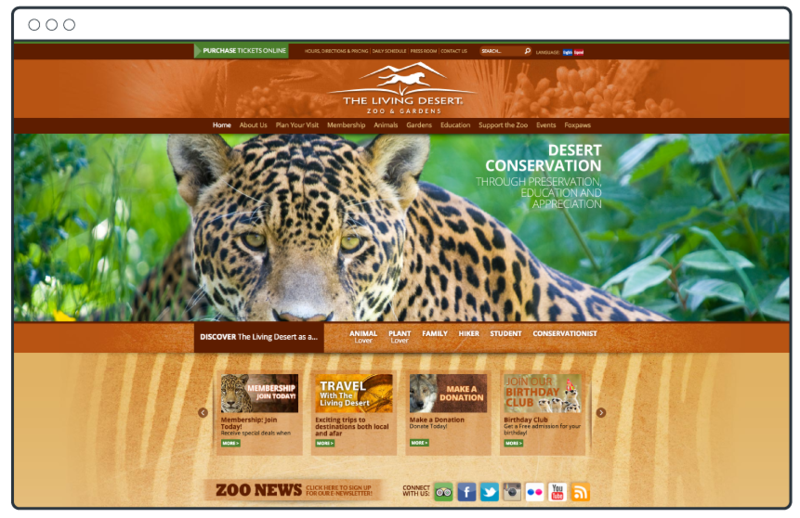 The Living Desert Zoo and Garden’s award winning website project was an entire re-branding and content strategy overhaul. 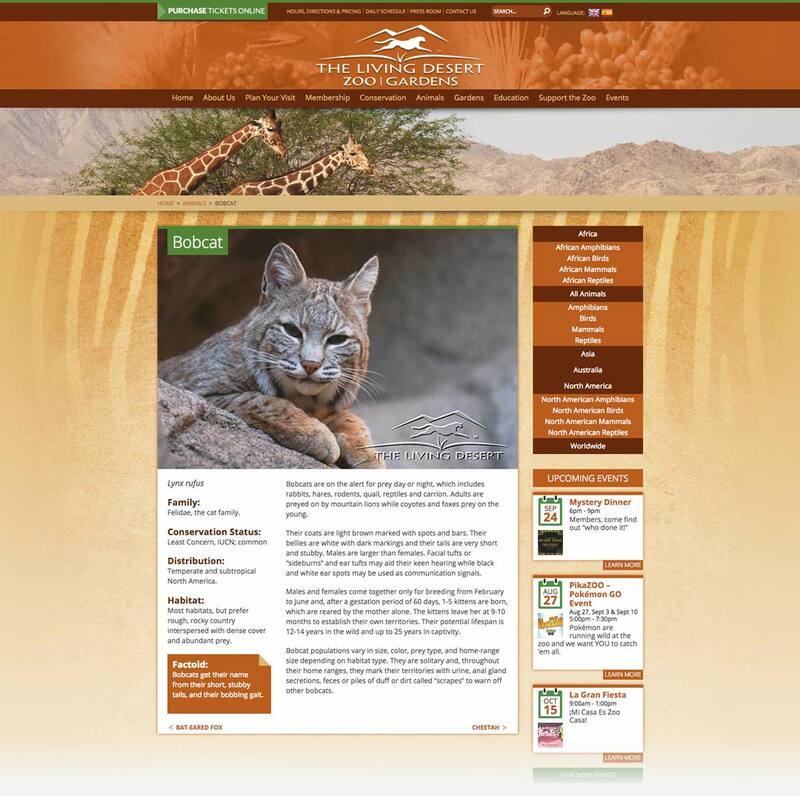 The Living Desert Zoo is a major tourist destination in the southern deserts of California and has been since the early 1970’s. 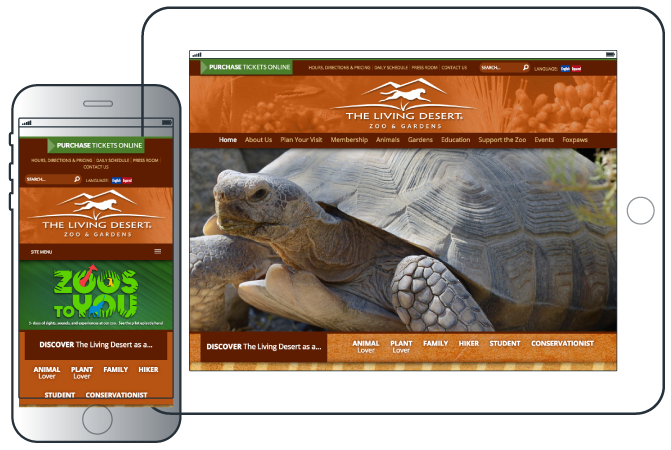 Through a longtime relationship with Grafx Design dating back the agency’s early work with Busch Gardens and SeaWorld, the Zoo’s Director of Marketing hired Grafx as a trusted partner to evaluate and re-launch the Living Desert look and brand. 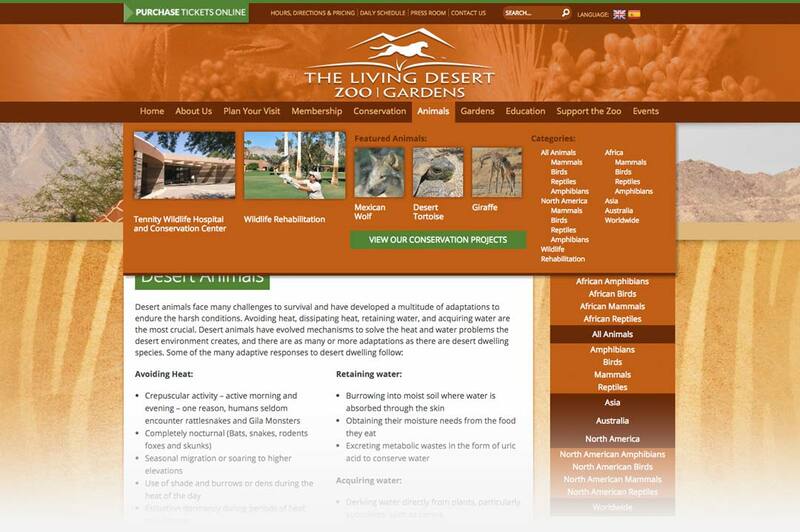 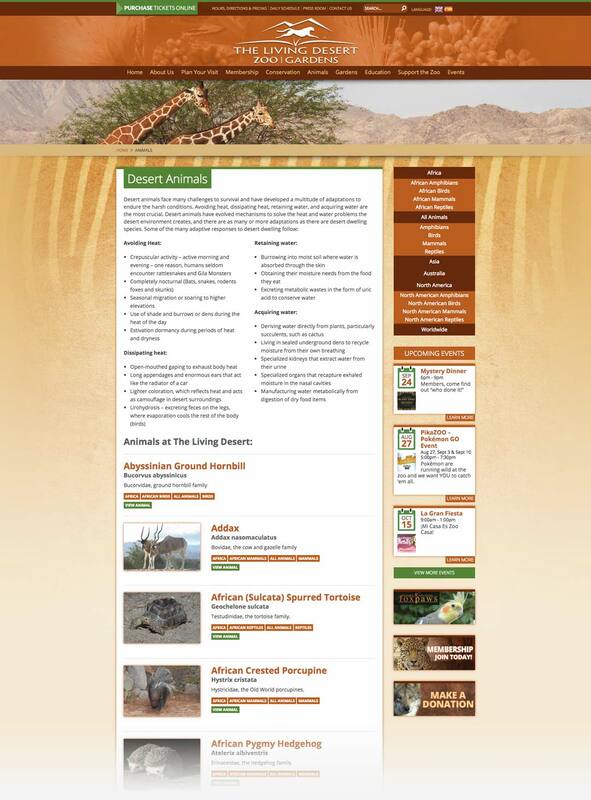 Grafx Design successfully launched livingdesert.org and the Zoo has since enjoyed ease of use for its content admins and its customers.